Warsaw is the capital city of Poland, the seat of the Polish Government. It’s often called The Pheonix City, because it was almost completely destroyed during World War II and rebuilt from the foundations. You may find here remains from communism era, like the Culture and Science Palace, modern skyscrapers, baroque monuments and business centers. 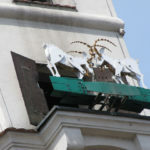 While in Warsaw you must visit Uprising Museum, Royal Route and the magnificent Old Town. Krakow is one of the most beautiful cities in Poland and probably the most popular tour destination. Thankfully World War II left the town’s monuments and treasures of art untouched, so everybody can admire them today. 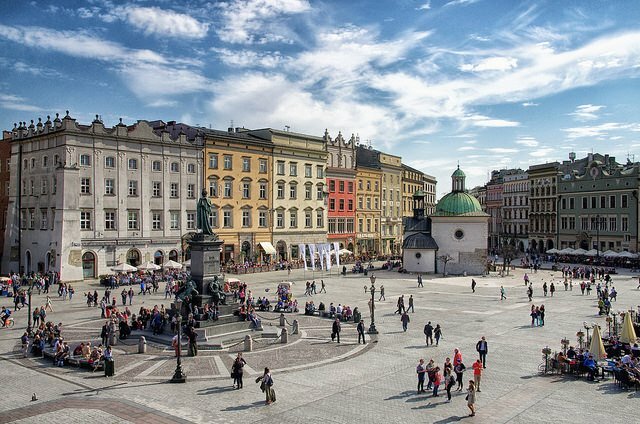 However Krakow is famous not only for its architecture and history, but also for unique pubs, elegant restaurants and a fantastic nightlife. Do not hesitate! 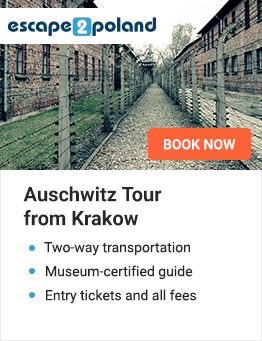 Visit Krakow today! Zakopane is the capital of Polish Tatra’s mountains. Everybody and everytime can find the city interesting. It attracts skiers in winter, while in summer people who prefer to discover magnificent landscapes from Poland’s highest mountains. Traditional food, lots of pubs and clubs – Zakopane is the place to be. Gdansk is the biggest city on the Polish coast, a part of an agglomeration which includes Gdansk, Gdynia and Sopot. This is also one of the most popular tourist cities in Poland and there is probably no better place to spend some time on the Baltic seaside. Over 1000 years of history fill the city full of unbelievable medieval monuments. Almost every corner of it has it’s own interesting history. Gdansk is also the place, where World War II and communist era began so it’s very important place for history of whole Europe. Katowice is the capital of over 2 million agglomeration in the heart of the Silesian region. It is famous for its architectural contrasts. Remains of a 19th century industrial development plus lots of buildings from the communist era, stand side by side with modern edifices. 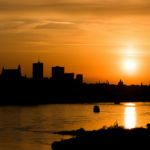 Thanks to its localization Katowice is one of the fastest growing cities in Poland. Those who visited Wroclaw often say, that is the most charming city in Poland. Placed on the riverside of the Oder with mutual Polish and German history – the capital of Lower Silesia can absorb and admire anyone. The Number of sights and attractions are more than plentiful, but there are a few places that you have to see. 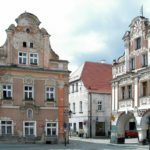 Among them, the most important is Main Square, Town Hall and the Panorama of Raclawice. The city offers rich culture and a variety of entertainment that you may also select from. Poznan – capital city of Greater Poland is one of the oldest and most charming polish cities. Its long and complicated history left behind really marvellous monuments of architecture. Poznan is also a green city, there are a lot of parks and gardens where we can get rest from the city crowd. While you’re in the capital of Greater Poland, you shouldn’t miss such places like Town Hall, Emperors Castle or Mountain Morasko with its famous Morasko Meteorite. Of course there are many more places worth seeing in Poznan, so do not wait too long! Visit this beautiful city as soon as you can. Rzeszow is a city in the south-east of Poland. It isn’t a great metropolis but in the last few years it has started to be a more attractive city for tourists, because of its nearness to two great mountain ranges and also thanks to its beautiful architecture and interesting history. During your time in Rzeszow, you should take a walk trough the Underground Trial and see its amazing, historical city hall. You can get into Rzeszow very easily because of “Rzeszow – Jesionka Airport” placed only 10 kilometers from the city centre. Szczecin is the capital city of West Pomerania and also one of the most beautiful cities in Poland, often called “The Floating Garden”. Mixture of modern and historical monuments makes this city one of its kind. Because of its nearness to wild nature and fresh water, time in Szczecin is very relaxing. While you’re here, you have to see the Waly Chrobrego, Pomeranian Dukes’ Castle and Pionier – the oldest cinema in the World. 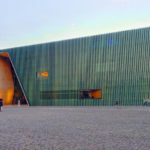 The cities cultural and entertainment activities offer are very satisfying, so you can be sure, that your time in Szczecin won’t be wasted. Lodz is a city which breaks all stereotypes. Mixing a modern atmosphere with the landscape of 19th century’s Industrial Revolution. Its amazing architecture of weaver’s craft factories are something totally unique and it gives a breath-taking impression. Lodz is 3rd in terms of population and city size in Poland. This is an important industrial, business and tourism point.